Sorry guys, am on a bit of a roll with the “Dirty” style of BBQ at the moment, and am coming u with some amazing new recipes that I just want to share. These wonderful lamb leg steaks just screamed at me to cook them “Dirty”. Fire and lamb are a heavenly match. 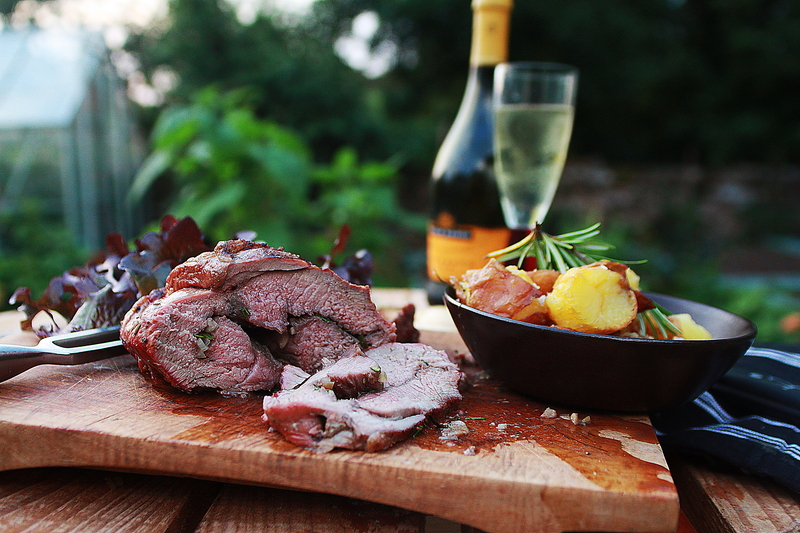 Sumac is an intensely fruity slightly sharp spice from the Middle East and Med, and goes perfectly with lamb. I used a baste of 2tbsp sumac, 2 tbsp rock salt, a bunch of wild garlic, 4tbsp olive oil, 1 garlic clove, a sprig or two of flat leaf parsley, a tsp of black pepper, and the juice of half a lemon, all blitzed up in a spice grinder. 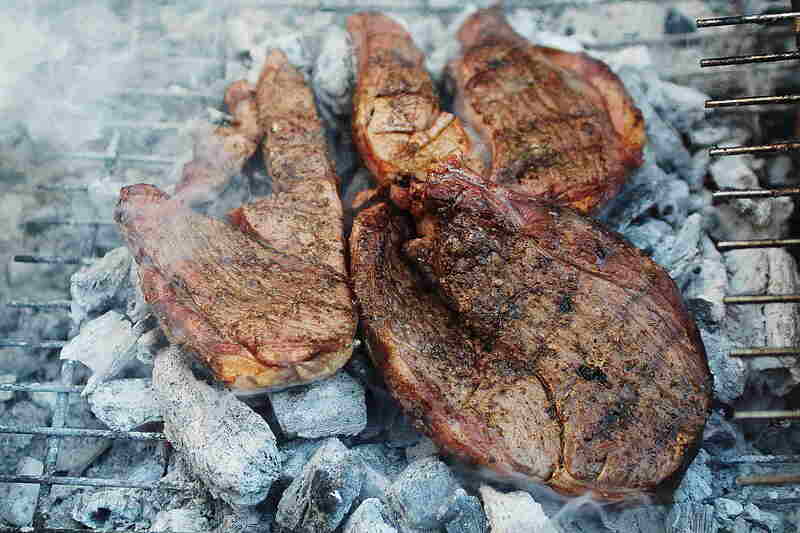 Place the lamb steaks straight on the coals and brush generously with the sumac baste as they cook, a couple of minutes a side should do it, until they are medium rare. Allow to rest for a couple of minutes before getting stuck into the juicy steak. I enjoyed mine with a wild garlic, feta, olive and baby tomato salad. I always value leftovers, they can quite often be the best part of cooking, and I can get very excited by the prospect of cooking with something as wonderful as the mutton leftovers from the previous post. 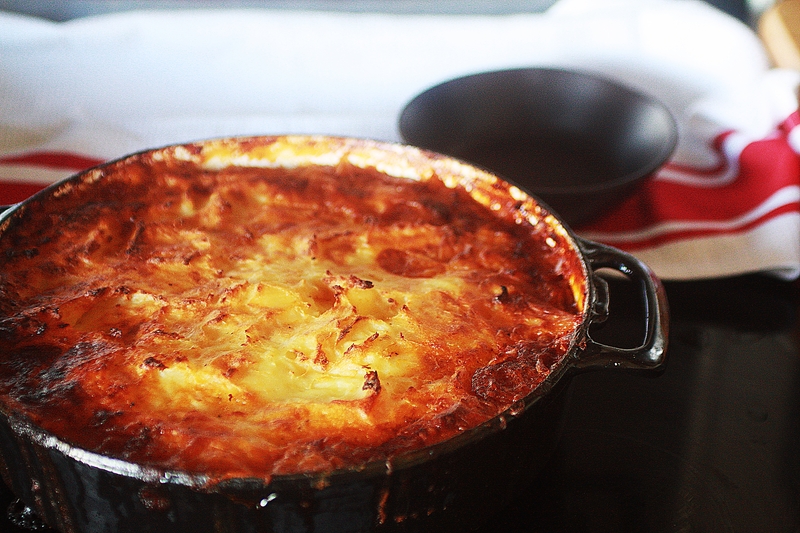 Shepherds Pie is a family favourite of ours, and so it was the obvious choice for the mutton. It cheered my poorly son up who’s had the lurgy going round the last few weeks, he polished off a big bowl full. Brown off a diced onion and a couple of garlic cloves in a little oil with a sprig of finely chopped rosemary in a shallow casserole dish, add a couple of diced carrots, parsnips and half a swede and allow to sweat for 5 minutes. Add a tin of chopped tomatoes and a litre of beef/lamb stock, and a couple of handfuls of finely diced leftover mutton/hoggett/lamb and simmer with the lid off until the sauce starts to thicken up. 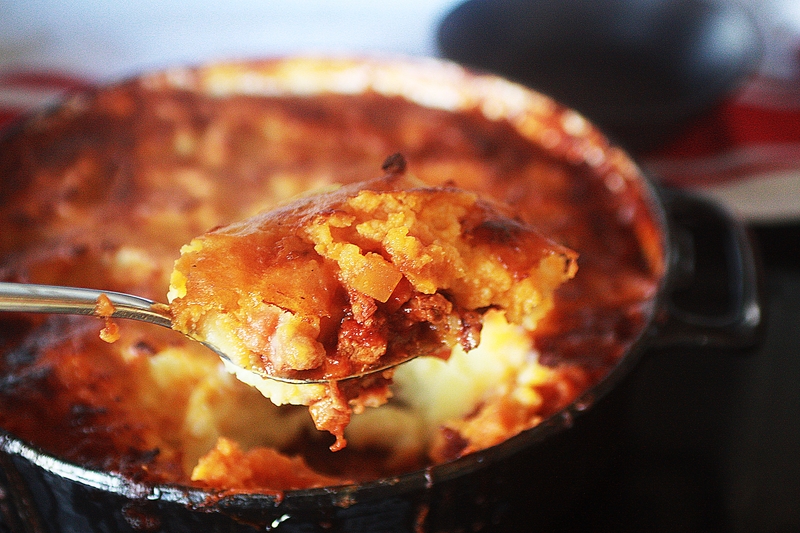 Allow to cool for a few minutes and then top generously with buttery mash potato or sweet potato. Bake in the oven at 180degC for 50 minutes until the top is crisp and brown with the sauce bubbling over the edge. Serve with peas and brown sauce (my wife got me into this).